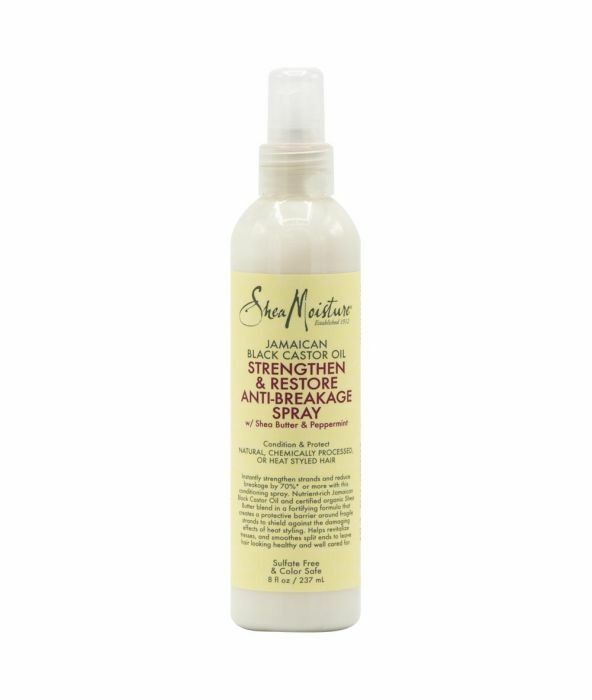 Instantly strengthen strands and reduce breakage by 70%• or more with this conditioning spray. Nutrient-rich Jamaican Black Castor Oil and certified organic Shea Butter blend in a fortifying formula that creates a protective barrier around fragile strands to shield against the damaging effects of heat styling. Helps revitalize tresses, and smoothes split ends to leave hair looking healthy and well cared for. Spray on damp hair, focusing from mid-shaft down to ends. Blow dry or air dry. Style as desired.